1996 Teaching Fellow, Department of Philosophy, University of Tübingen (Summer Semester). 1997-98 Postdoctoral Researcher, University of Munich (Prof. Dieter Bremer). Research project: “Parmenides and the History of Greek Philosophy”. 1998-2003 Lecturer in Philosophy, Department of Classics and Philosophy, University of Cyprus. 2004-13 Assistant Professor of Philosophy, Department of Philosophy, Aristotle University of Thessaloniki (tenure since 2007). 2014-19 Associate Professor of Philosophy, Department of Philosophy, Aristotle University of Thessaloniki. 1989-91 Wissenschaftliche Hilfskraft, Department of Philosophy, University of Tübingen (Prof. Hans Krämer). 2003-11 Tutor for “Greek Philosophy and Science” at the Greek Open University. 2012-14 Tutor and Coordinator of the Module “Greek Philosophy and Science” at the Open University of Cyprus. 2007 Teaching Fellow, Department of Philosophy, University of Heidelberg (Summer Semester). 2015 Professor (Vertretungsprofessur) at the Ludwig-Maximilians-Universität Munich, Lehrstuhl III für Antike Philosophie (Summer Semester). Supervisor of the postdoctoral research program of Dr. M. Tatari on The end of art as a sphere of God’s revelation in Hegel (funded by IKY, 2008-09). M. Chondrokoukis: “The Philosophy of Empedocles”. A. Dimopoulos: “Memory, Language and Historicity of Culture. A Philosophical Approach”. I. Alysandratos: “Body and Corporality in Plato”. 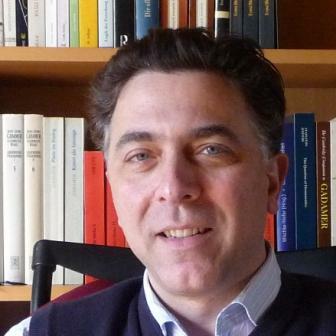 E. Theodoroudi: “Theaetetus – Sophist – Statesman: Time and Dramaturgy in the Platonic Trilogy”. I. Telios: “Philosophical Investigations on post-truth“. Member of the dissertation committee of five PhD theses at the Aristotle University of Thessaloniki (three of them completed) and of one at the Department of Philosophy, University of Patras. Supervisor of sixteen completed MA dissertations at the Department of Philosophy, Aristotle University of Thessaloniki (all supervised students enrolled until 2016 have successfully accomplished their MA-studies). External Member (Miembro del Tribunal de Tesis Doctoral) for the PhD-candidate Cristina García Santos at the Universidad Nacional de Educación a Distancia (6/2/2015). Anonymous reader for the journals: Zeitschrift für philosophische Forschung, Philologus, Deucalion, Hypomnema, Ariadne etc. Evaluator for research proposals submitted to the Greek State Scholarships Foundation (IKY), the Hellenic Foundation for Research and Innovation (ELIDEK) etc. Member of a committee of the Greek NARIC for the recognition of overseas degrees (sector Philology-Philosophy, 2007-13). 2006-07 Restructuring the BA-curriculum of the School of Philosophy and Education. 2008-09 “The End of Art as a Sphere of God’s Revelation in Hegel”: Postdoctoral research project of Dr. M. Tatari at the Greek State Scholarships Foundation (IKY). 2011-12 Research project funded by the Aristotle University of Thessaloniki, within the framework Supporting Research in the Humanities. Funding amount: € 4.000; participation as Scientific Coordinator. 2012-13 “Readings of Ancient Philosophy: The Case of Heidegger’s Aristotle-Interpretation”. Research project funded by the Programme of the “Research Promotion Foundation” of Cyprus Attracting Researchers from Abroad (the project proposal was submitted by the Open University of Cyprus and evaluated as the best among 23 proposals). Funding amount: € 49.780; participation as Principal Researcher (“Experienced Foreign Researcher”). 2013-14 Action Plato (production of the electronic lexicon Plato’s Encyclopedia), as part of the project Plato’s Academy – Development of Knowledge and Innovative Ideas, conducted by the “Foundation of the Hellenic World”. Funding amount: € 147.200; participation as Member of the Editorial Board (responsible for the lemmata on Plato’s modern reception). 2015 Action Kallipos – Greek Academic Electronic Textbooks. Reviewer of the book: V. Kalfas, The Philosophy of Aristotle. 2018-19 “The moral status of the child in Plato and Aristotle: Τhe transition from mere living (ζῆν) to living well (εὖ ζῆν)”: Research project funded by the Programme Support of Young Scientists (ΕΔΒΜ34). Funding amount: € 62.650; participation as Scientific Coordinator.